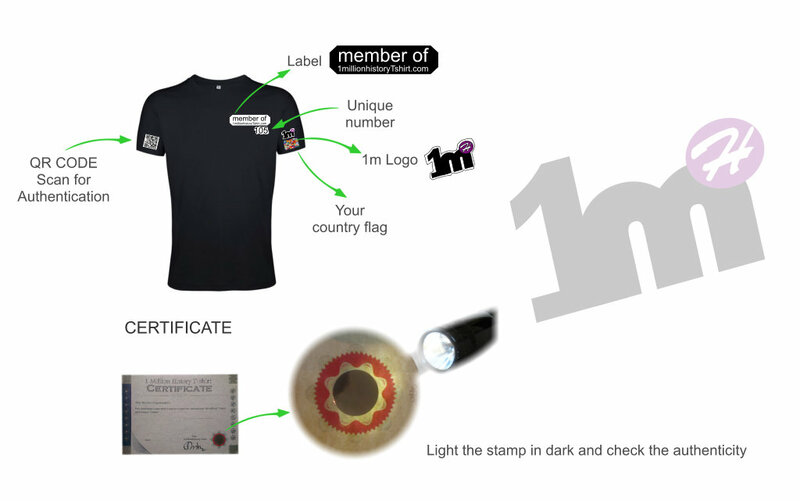 Authentication is the most important thing for © 1millionhistorytshirt.com. No one can authenticate the same T-Shirt number as yours. The QRcode card, that you will receive, will include your registered email. Scanning your T-shirt QRcode will redirect you to the authentication link. We want you to own the unique number on your T-shirt!